Rice is the seed of the monocot plants Oryza sativa or Oryza glaberrima. As a cereal grain, it is the most important staple food for a large part of the world's human population, especially in Asia and the West Indies. There are many varieties of rice and culinary preferences tend to vary regionally. In the Far East there is a preference for softer, stickier varieties. Because of its importance as a staple food, rice has considerable cultural importance. Rice is often directly associated with prosperity and fertility, therefore there is the custom of throwing rice at weddings. Pusa Basmati Rice is the hybrid variety of Basmati Rice that possess 100% purity, long grain, aromatic fragrance and non-sticky after cooking. The distinctive taste and enticing aroma has made Long Grain Pusa Basmati Rice highly acclaimed in the national as well as international market. Premium Basmati Rice is commonly known as “Queen of Fragrance” due to its enticing aroma. Many of the traditional Arab cuisines are prepared using Indian Premium Basmati Rice due to the long grain size, non-sticky after cooking and tempting odor. The Organic Brown Basmati Rice is globally appreciated for its rich taste, tempting aroma and non-sticky after cooking. Additionally, Long Grain Brown Basmati Rice processed under hygienic conditions with use of no harmful chemicals that ensures unsurpassable quality of the rice grain. We offer the most appreciated variety of Super Basmati Rice that is considered ideal for the preparation of cuisines like pulao, biryani etc. The long grain, enticing fragrance, scrumptious taste and non-stick after cooking have also made the Super Basmati Brown Rice the foremost choice of the national as well as international clients. 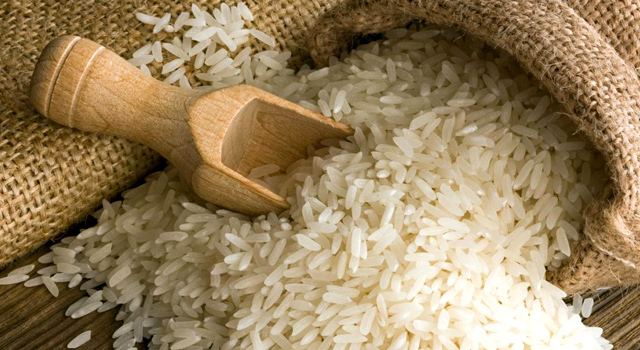 The tempting aroma, unique taste, long grain and non-sticky after cooking have made the Organic White Basmati Rice the foremost choice of the national as well as international clients for preparing cuisines like pulao, biryani etc. The Parboiled Basmati Rice offered by us is considered ideal for the preparation of pulao, biryani etc. due to the rich taste, tempting aroma, long grain size and non-sticky after cooking. We also offer Broken Rice for various varieties.